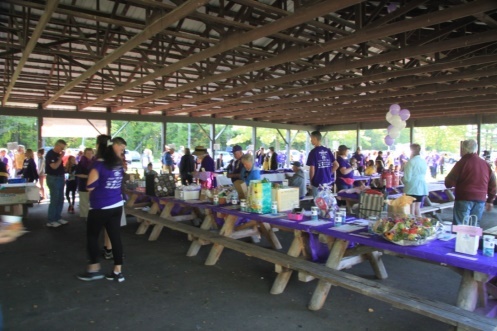 Lustgarten Foundation Albany Capital District Walk for Pancreatic Cancer Research | Raising funds for pancreatic cancer research, one step at a time. Thanks to everybody’s participation in the 2018 Walk, we raised over $128,000! Join us at the 2019 Walk. Remember, 100% of all funds raised for Lustgarten Foundation goes directly to PC research. 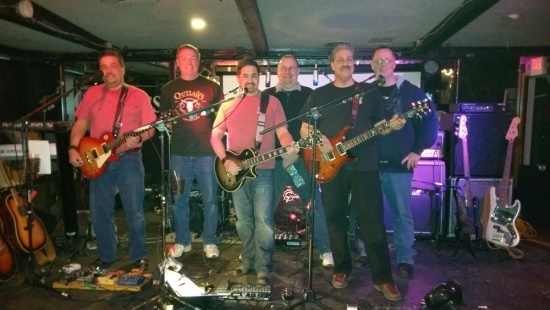 Code Blue Albany – live music by extremely talented musicians, and one of the best 60’s thru 80’s cover bands in the area. 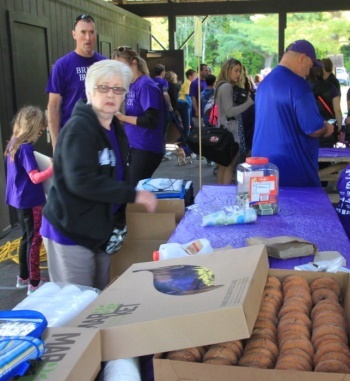 CBA plays all over the Capital District and has been supporting our Walk for many years. 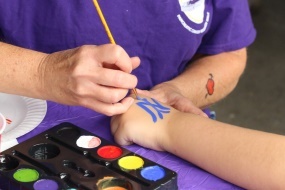 Relaxing Massages – by Cindy Kelsey and Lenny Zigler, who will once again provide their services to Walk participants. Purple Hair Extensions – provided by Melanie Wagner of Shear Simplicity. The kids and those young at heart love these. Schenectady Puppet People - They're alive! 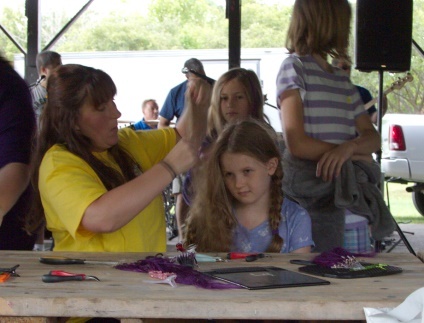 The magic and wonder of puppetry will be back to visit our Walk. Mark Carrigan created these giant puppets and will once again be here to amaze everyone. Pet Parade – contest for prizes, in three categories: Best Dressed Pet; Funniest Pet; and Best Overall Pet. Three volunteer youngsters will judge the contestants. 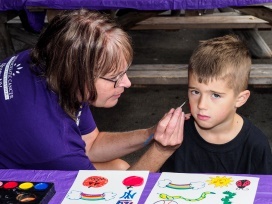 Face Painting – provided by Karen Anthony. Hey, she also does hands! Pick-a-Prize Auction – a big draw each year. Items provided by local merchants and other contributors throughout the Capital District. We also have a 50/50 Raffle and a “special” raffle of an item donated by Hannoush Jewelers. and Hannaford for bottled water. Many thanks to our five talented photographers: Michael Buckley, Jeff Fox, Linda Heim, David Piper and John Sullivan. You can see the walk pics on Facebook. Click here. For 2019 sponsorship information, click here to open and print an application form, solicitation letter and presentation file. Feel free to email us at info@albanypcrwalk.org with potential sponsors and we’ll gladly contact them to discuss opportunities. Thanks to ALL our Walk sponsors, and special thanks to Rensselaer Honda and St. Peter’s Health Partners Medical Assoc. in Hepatobiliary & Pancreatic Surgery, Ostroff Associates and Albany Gastroenterology Associates. Click here to see a list of our 2018 Walk Sponsors. — Golf Outing – the Rensselaer Honda Tom Gorman Memorial Golf Outing will take place at the Fairways of Halfmoon in Mechanicville, NY on Thursday, May 23rd, 2019. 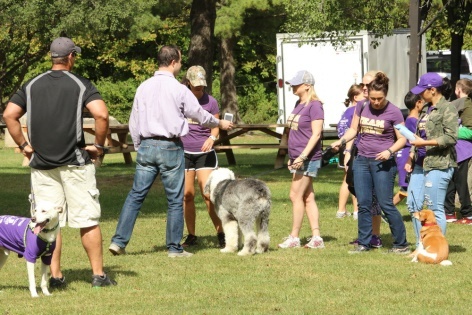 Last year’s event raised a record breaking $25,225 for Lustgarten Foundation! Stay tuned for more information and the registration form. — Dinner at Maggies Sports Bar – stay tuned for the 2019 date. We raised $1,100 last year! — Lustgarten Day at Saratoga Race Track – August 2019 date to be announced. One of the races will be earmarked for Lustgarten Foundation. And at 11:30 am more than twenty Trainers will be available to sign autographs for donations at the Paramutuel windows on the concourse. The signing is in memory of Trainer Dominic Galluscio, who passed away at age 55 after gallantly battling pancreatic cancer. Don’t miss it! (Thank you to the Thoroughbred Horsemen’s Association and to NYRA). — Are you planning a local event that would support Lustgarten? Please let us know, and we’ll post it – send email to info@albanypcrwalk.org. Hi. Click on the “register” menu item. It will take you to a page where you have all the choices to register – as yourself, to support a walker, to join a team.